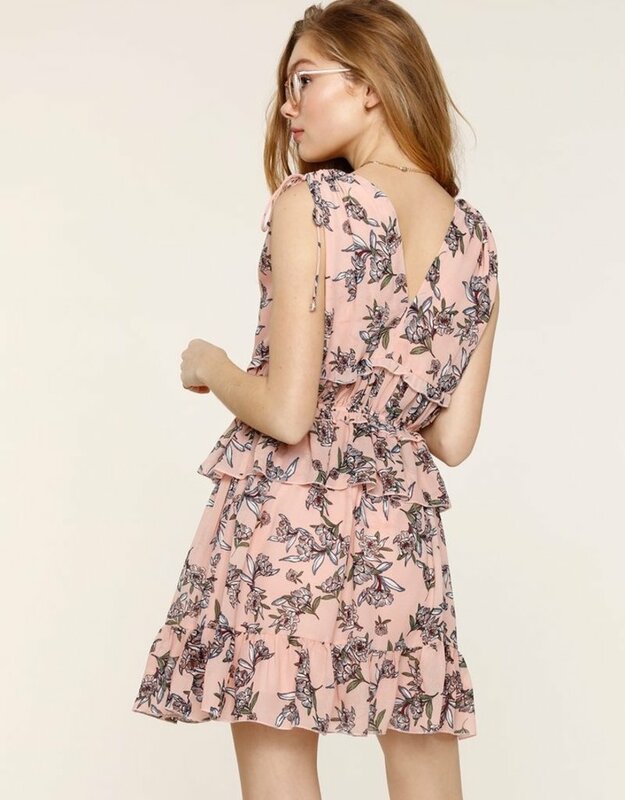 This little floral dress has a style that is flattering on every body type. Adjustable tie shoulder. Cute button detail down the front. Fully lined.